This is the funniest show on television. Bar none. Forget everything you know or think you know about humour and Archer will define it. This animated half hour show redefines spy-comedy. Archer Sterling is the best spy in the world. He works for the most messed up spy agency in the world, ISIS, run by his neurotic mother, Malory Sterling. Codenamed “Duchess”, Archer is what James Bond wishes he could be. Although being at every beck and call and conducting covert ops on his mother's whims (in most cases, to recover “incriminating tapes” of his mother) wouldn't be a perk of being Archer. The other ISIS agents are equally messed up: Lana, Archer's ex-girlfriend, tries really hard to kill (more like severely maim) Archer at every opportunity while receiving stares from all of the male audience; freaky assistant Cheryl; the timid and gullible Pam (Human Resources - see the irony? ); accountant Cyril Figgis and mad scientist (read: head of “research” division) Dr. Krieger. Archer's butler Woodhouse and KGB chief Nikolai Jakov (older male readers will get the name) play significant roles. It's a roller-coaster ride of laughter and incredulity once you get past the pilot episode. Those who mistakenly dismissed Archer by the pilot episode should ALWAYS remember: “DO NOT judge a show by its pilot episode.” Archer is a show above South Park/Family Guy toilet humour, but still stoops low enough to provide a good laugh. It also deploys the most revered of humour tactics: silence. 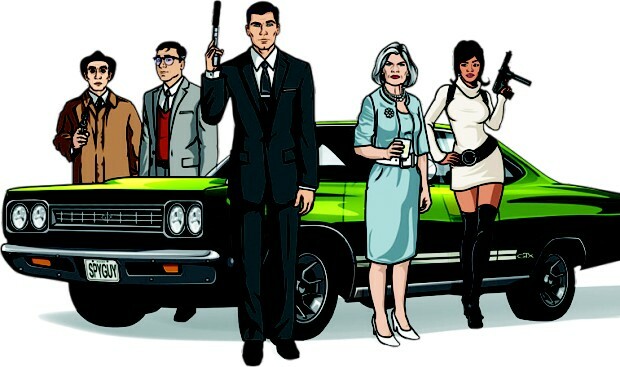 It's really hard to pull off, what with even the worst of sitcoms overusing laugh tracks, but Archer pulls it to a tee. ISIS agents humiliating each other even in the direst of situations provide most of the humour, with Archer's immense stupidity and callousness providing the rest. The show is a mine of mind-blowing quotes in the rough. Set in the Cold War era 60's and early 70's, the animated visuals are… flowery. The bright colours and funky clothes are characteristic of that period, as are the immense amount of drug and alcohol use. This is not a show for minors, adult themes run rampant here. The voice acting is perfectly matched to each on-screen character, adding to the memorable quirks in each character. Archer is probably the best show on television. There are two seasons out, and take my advice and stick through the first episode. It'll be totally worth it. Without having seen the trailer or possessing any prior knowledge about it, many, like this writer herself, had the impression that Super 8, analogous to The Fantastic Four, was a super hero movie - the perception stretching as far as considering it to be a spoof or parody of the latter. It definitely disappoints you in that arena - it was anything but a super hero movie. This sci-fi thriller, directed by J.J. Abrams, with Steven Spielberg as a producer is about a small group of friends in the summer of 1979 whose lives change drastically when, while shooting a Super 8 zombie film, they accidentally witness the crash of an air force train that contained an angry jailed monster. Realising that the crash wasn't accidental and because of the army take-over right after of the crash site, Joe Lamb (Joel Courtney), Charles (Riley Griffiths), Alice Drainard (Elle Fanning), Cary (Ryan Lee), Martin (Gabriel Basso), and Preston (Zach Mills) decided that it was safest just to keep shut about the whole incident and go on with their normal lives. But as a volley of unexplainable and incredible events start to follow one after another and their entire town is forced to evacuate, they couldn't stay uninvolved for too long. Slowly, they unveil the story of the alien/ monster and the army's deep involvement in the complication to finally meet the mysterious creature in person. That's about all that can be revealed if you don't want to ruin the suspense. The best thing about the movie is how it has brilliant bits of humour and suspenseful scares scattered all around which successfully tapes you to your seat the entire time. It is a simple story, with superb action scenes and magnificent sound effects. Certain scenes, like the main train crash and a few abductions just blow your mind away. They were shot beautifully and it was amazing how carefully the monster was hidden from the cameras until the very end. Some of them made you wonder if the movie was really meant to belong to a horror genre. The kids had the perfect amount of story for themselves, each one important in its own aspect. They had their own oddities and uniqueness and their relationships with their own families and each other were beautifully portrayed, conveying each intended feeling of sympathy, empathy, sorrow, contradiction and happiness with perfect precision. Joe's, feelings towards his recently widowed father, Jackson Lamb (Kyle Chandler) and Alice's with hers were magnificently demonstrated. Their acting was impressive and they characterised their appointed roles perfectly. However, there definitely were a few cons present. There was little story for the monster, which came in and left too fast. Though scary, it's intentions weren't very clear and the path to its meeting seemed to have been stretched out for far too long. Some of the things, like the abductions themselves and a whole lot of the sub-plot didn't make a lot of sense and were quite ambiguous - the whys and hows easily questioned. For a science fiction movie, it surely had quite a few things that even people who don't know anything about science knew didn't make sense. From the beginning, you start to expect a lot from it and perhaps in the end you aren't left entirely satisfied. 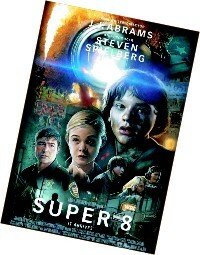 Nevertheless, Super 8 was a pretty decent, not too bad movie, one that you can have a fun time watching with your family. And if you're a suspense lover, it's even better. Just don't get too hopeful, because the chances of disappointment are very high. Death Cab for Cutie have come a long way since their lo-fi indie roots. And according to this reviewer, their seventh album “Codes and Keys” is by far their most diverse release yet but is an example that diverse is not always good. The album has a little bit of everything: catchy radio-friendly songs, deep experimental songs and a few songs with the trademark Death Cab indie sound that made them famous. The album is mostly based on keyboards and attempts to lean on lyrical depth and vocals rather than complicated instrumentation. 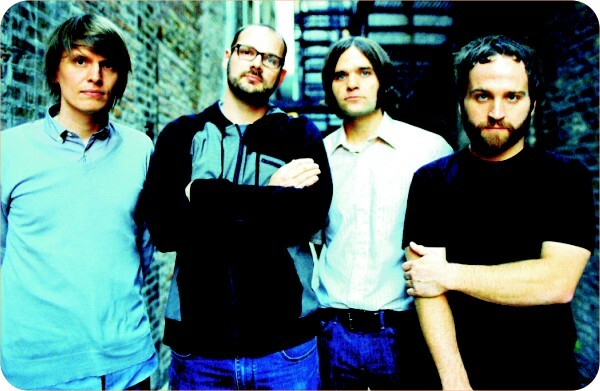 The album kicks off with “Home is a fire” and is a typical Death Cab track, which will surely please the fans who have stuck by the band all these years. The track is an excellent bass heavy cut and slowly builds into a fine pop sound. The best thing about the song is easily Gibbard's trademark vocals. The title track “Codes and keys” is another throw back to the earlier sounds of the band. The song is pulled back from Death Cab's past and is easily one of their best cuts. The song is brought to life by jaunty piano works (which you will hear a lot of in this album) and delivers a delightful pop-ish sound. The song is filled with amazing lyrics such as “Like a child/ Throwing stones at the sky/ When they fall back to the earth/ As minor chords of major works”. “Doors unlocked and opened” is a wonderful track because this song has the old Death Cab feel with a blend of their newer sound. This is the most guitar flavoured track of the album, which is a good thing because you will find yourself getting tired of all the piano works very soon. The song however, sounds like a more immature version of The Cure's “A Forest”, but it is a catchy song nonetheless. “Unobstructed views” comes with a very lengthy intro and takes ages to bring the listener into the song. It's supposed to be a “synth ballad” according to more established reviewers, but yours truly had a tough time staying awake through the entire duration of the song. A good song to listen to if you want to fall asleep or bore yourself real bad. “St. Peters Cathedral” is perhaps one of the catchiest song of the entire album. But it is something you expect a band like Coldplay to come up with. The only positive thing about the track is the slow echoing piano, but that's about the only thing that has kept this album alive. Judging from this album, it is very obvious that the band is lacking creative and original ideas. Some of the songs have ridiculous lyrics, while others seem like two different songs poorly stitched together. In some of the tracks the band tried to experiment a little too much and ended up being “weird” and worst of all, the album is littered with filler songs. Bottom line- Not an album worth listening to, just listen to the some of the songs mentioned in this review if you are a Death Cab fan.